In recent months there has been a onslaught of hands-free smart speaker that you control using your voice. Customers having a field day with too many options in the market. Those who are looking for smart intelligent devices for their home have Amazon’s Echo and Google Home to choose from. They have also the latest entrant Apple’s HomePod. Though there was a lot of buzz created with the launch of Apple’s HomePod off late reports suggest that the hype is not really translating into numbers. According to Slice Intelligence during the HomePod’s first 10 weeks of sales, it was able to garner a market share of 10 percent of the smart speaker market, compared with 73 percent for Amazon’s Echo devices and 14 percent for the Google Home. Amazon’s Echo devices still is miles ahead of the other two competitors. Reports suggest that by late March, Apple had lowered sales forecasts and cut some orders with Inventec Corp., one of the manufacturers that builds the HomePod for Apple. Though Apple with its HomePod has been touted for its superior sound quality but it has really not enthused the customers because of its pricing. Apple HomePod is launched at $349. 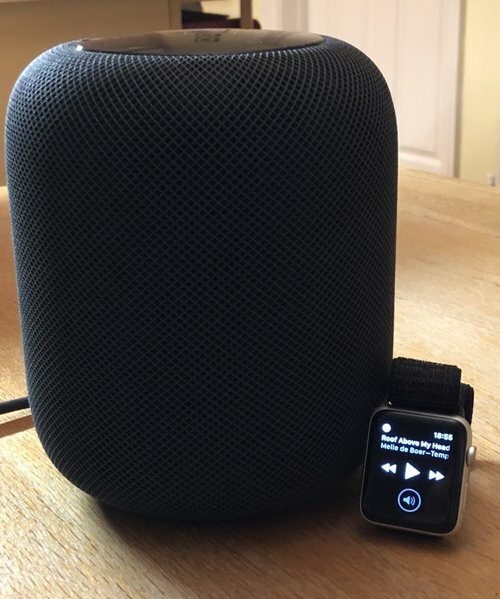 Though the HomePod delivers market-leading audio quality, consumers have discovered it’s heavily dependent on the iPhone and is limited as a digital assistant. It remains to be seen how much Apple regains the lost ground especially when the HomePod is part of Apple’s growing ambitions in music hardware, which will include upgraded AirPods this year and next as well as over-ear, studio-quality headphones that are currently under development.